–challenging scientists to explain flames and other concepts for 11-year olds to understand. (The kids are also the judges of the competition.) 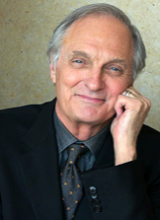 If the video of Alda’s talk becomes available online, I’ll link to it here for you. I attended an interesting session on climate change and whether/how it’s possible to reduce 80% of greenhouse gas emissions from energy by 2050. As pointed out by the chair, Jane Long (who is one of the authors of this report), our energy needs will likely double or even triple by then, while we must be simultaneously reducing carbon emissions. Peter Loftus discussed this issue as well, and showed the primary energy demand as well as energy intensity (energy used per unit GDP) have been rapidly increasing over the past twenty years, partly due to China. But to obtain substantial carbon reductions, the intensity needs to drop below what we’ve had for the past 40 years! We need to massively add to power generation capacity (10 times more rapidly than our previous rates), and it might not be feasible to exclude both nuclear and “carbon capture” in the process. Karen Palmer gave an interesting talk about the importance of energy efficiency as part of the solution, but she says that one problem is that it’s still hard to evaluate which policies best promote energy efficiency as well as ultimately energy savings and carbon emission reductions. Richard Lester made strong arguments about the need for nuclear power, since renewables might not be up for the task of meeting rising energy demands in the near future. This was disputed by Mark Jacobson, who pointed out that nuclear power has 9-25 times more pollution per kW-hour than wind (due to mining and refining) and it takes longer to construct a plant than the 2-5 years it takes to build wind or solar farms. Jacobson also discussed state-by-state plans: California benefits from many solar devices, for example, while some places in the northeast could use offshore wind farms. In addition, such offshore arrays could withstand and dissipate hurricanes (depending on their strength), and WWS (wind, water, solar) could generate about 1.5 million new jobs in the U.S. in construction alone. 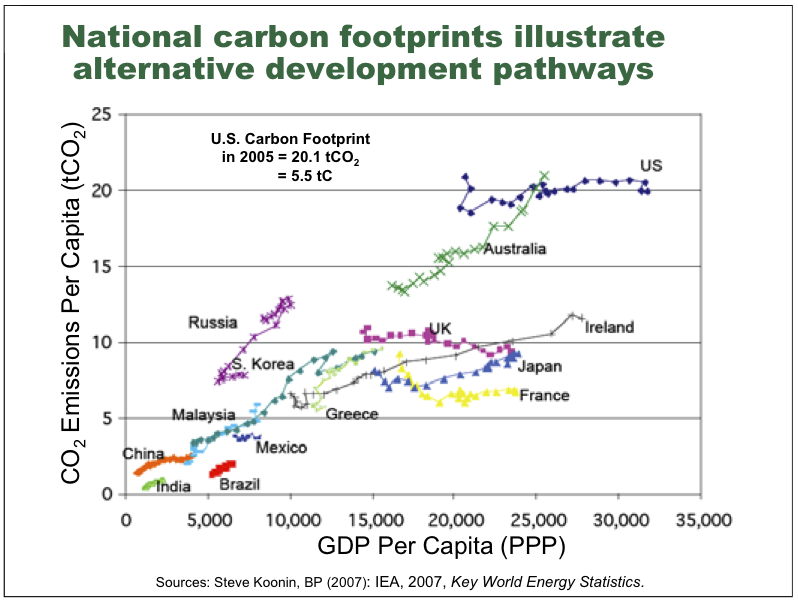 Different countries have very different economic situations and carbon footprints, so different solutions may be needed. I caught part of a session on “citizen science” (see my previous post). Chris Lintott spoke about the history of citizen science and about how the internet has allowed for unprecedented growth and breadth of projects, including the numerous Zooniverse projects. Caren Cooper discussed social benefits of citizen science, and Carsten Østerlund discussed what motivates the citizen scientists themselves and how they learn as they participate. Lastly, Stuart Lynn spoke about how the next generation of citizen science systems can be developed, so that they can accommodate larger communities and larger amounts of data and so that people can classify billions of galaxies with the upcoming Large Synoptic Survey Telescope, for example.